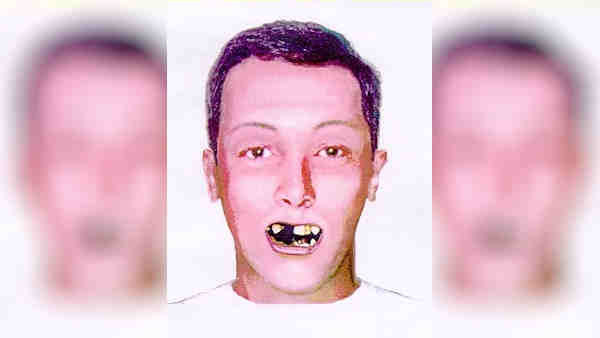 DIX HILLS, Long Island (WABC) -- Police are seeking help identifying a man found dead more than 15 years ago on Long Island and any suspects responsible. According to the Suffolk County Crime Stoppers and the New York State Police, the decomposed body was found off of the Northern State Parkway, east of Wolf Hill Road in Dix Hills, on March 9, 2000. Officials said the victim was shot with a large caliber pistol and stuffed into a black garbage bag. The victim is described as a white man, 35 to 45 years old, and 140 to 150 pounds. The victim had short, dark hair and was wearing a khaki-colored short-sleeved shirt with black trim, a T-shirt with a New Jersey emblem, jeans and a bathing suit. Anyone with information on the case is asked to call 1-800-220-TIPS.